The Easter weekend is fast approaching. 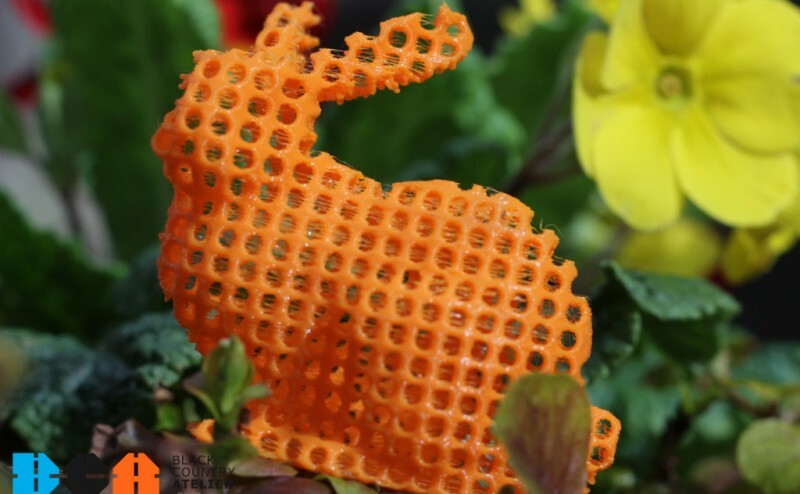 There are not many chocolate eggs left in the shops so David Brannon, Instructional Designer, at BCA, has been developing his own Easter gift with a 3D printing twist! 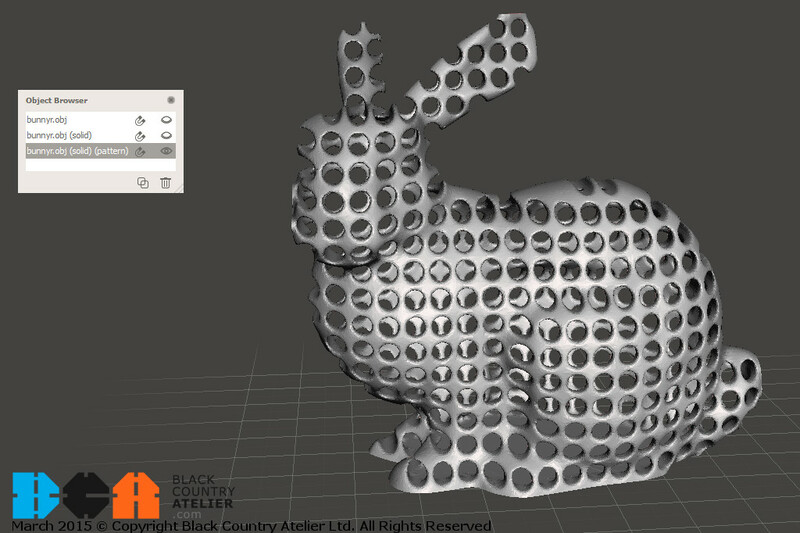 David set to work by using the free Autodesk software, Meshmixer and made use of the ‘Import Bunny’ option. 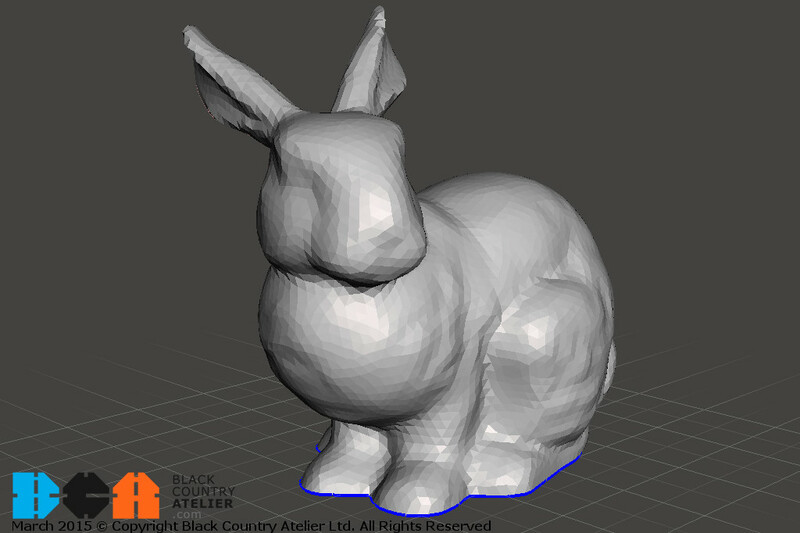 After some tinkering the bunny was made into a solid and then hollowed out. 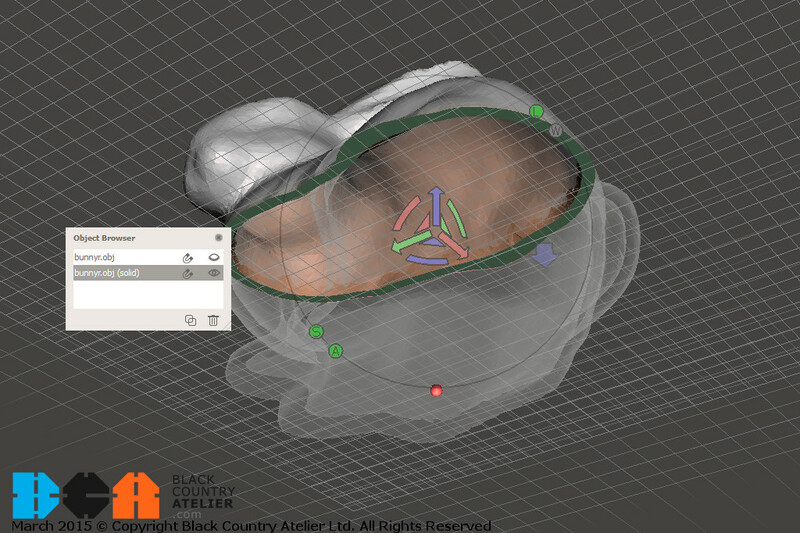 Solid and Hollow settings were applied. Next was the ‘Make Pattern’ setting and after some experiments ‘Tiled Tubes’ in a ‘Regular’ grid resulted in an exciting and intricate result. 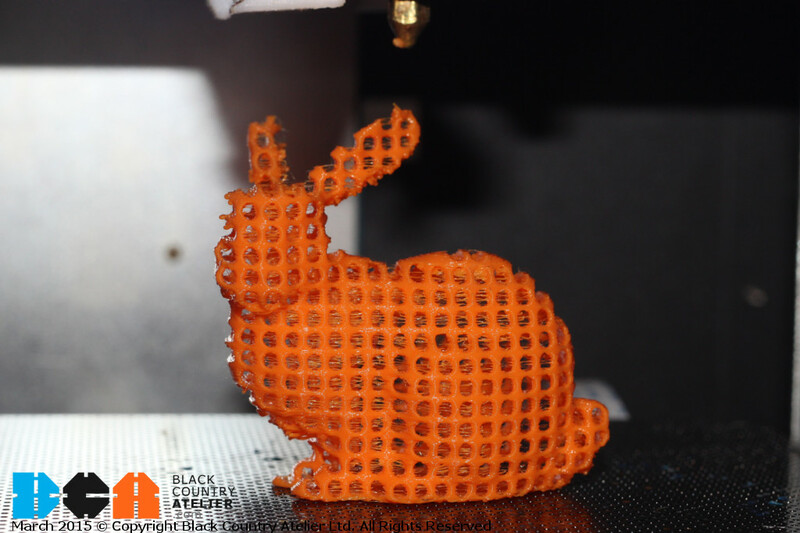 Finally the design was exported and 3D printed on the Up Mini. 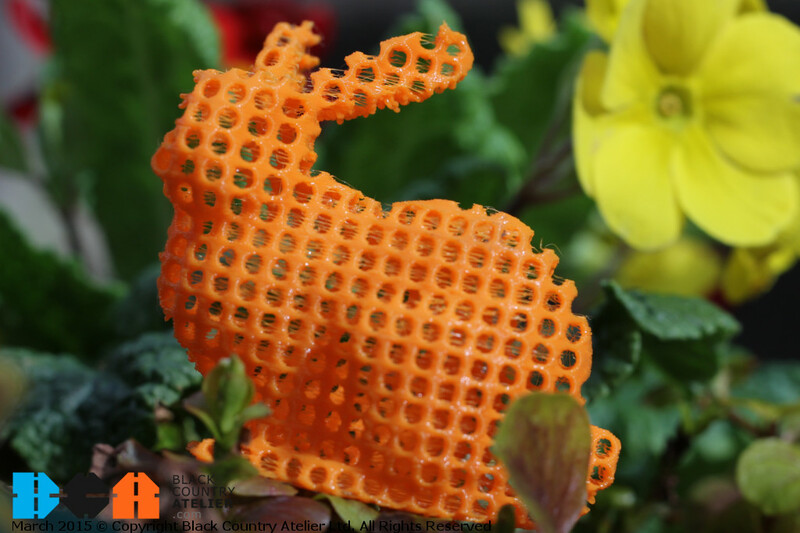 David’s friends and family may miss out on actual chocolate bunnies this Easter but they will have sampled the wonderful world of 3D printing!